This page is to enable people to post information about David Brown tractors and implements that are For Sale. It would be good to save as many from the scrap heap as possible. Please put the model, condition, serial number (if possible) , as well as a price and your contact details on your posting. Please advise where you are geographically located. When approved, the information will be posted on this site. Please do NOT tick the Private Message box, as this will mean that I cannot publish your message onto our Website. Can you please also advise when the item has been sold. For Sale page - please advise when sold. Comment: As part of deceased estate David Brown 25d Cropmaster in working condition. Original paint with external hydraulic ram. Side panels, slasher and carryall included. Best offer. Located in Tasmania. 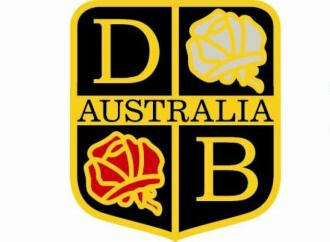 Comment: Hi, I\'ve just purchased a 1956 DB D2 and I\'m looking for parts for restoration, can anyone assist? Comment: Hi, is there somewhere in Australia to buy seals and bearings etc, specific to DB 950 implematic linedrive? Serial number 73185. Thank you. Comment: DB 30c Cropmaster, bought for $2700 approx 10 years ago. Looks good. We only start it up every couple of years, will start and drives well. Has custom built cover. No implements. Any interest? Offers? Comment: David Brown 1412 turbo charged diesel engine with hydra shift transmission for sale as part of deceased estate. Great tractor in its day and would love to see it restored by someone and not scrapped. Located in North East Tasmania. Photos available and price negotiable. Comment: David Brown 880 Implematic Livedrive Tractor with Jarrett 4ft slasher. Very low hours for a tractor this age. Four cylinder diesel, runs well but does need a new water pump and a very thorough service. Will suit a restorer. Located in Leppington NSW, please call Armando for inquiries on 0408 443 080. Comment: Looking for a plastic emblem for DB 950. Thanks. Comment: David Brown Selectamatic 880 Booral NSW Bought tractor with the property. It starts easy when I put a battery in it. There is a slasher available also. Always stored in shed. Seems in working order. Best offer.